In Austin – the Live Music Capital of the World – you can’t spit without hitting a Grammy winner. And you can hear great music just about everywhere you go. Including at the airport. Austin-Bergstrom International Airport offers 23 live music events each week, but next week that number spikes to 28 thanks to the addition of five special performances taking placing during the 8th Annual Kid Band Week. Credit: Sandy L. Stevens, Austin-Bergstrom Peterson Brothers Band performing during 2013’s Kid Band Week at Austin-Bergstrom International Airport. From Monday – Friday, July 21-25, Austin-area musicians, all ranging in age from 12 to 17, will be performing from 3:30 to 5:30 p.m., at Asleep at the Wheel Stage, located across from Gate 10. This aren’t “kiddie” bands – they’re real bands made up of great musicians who just happen to be kids. 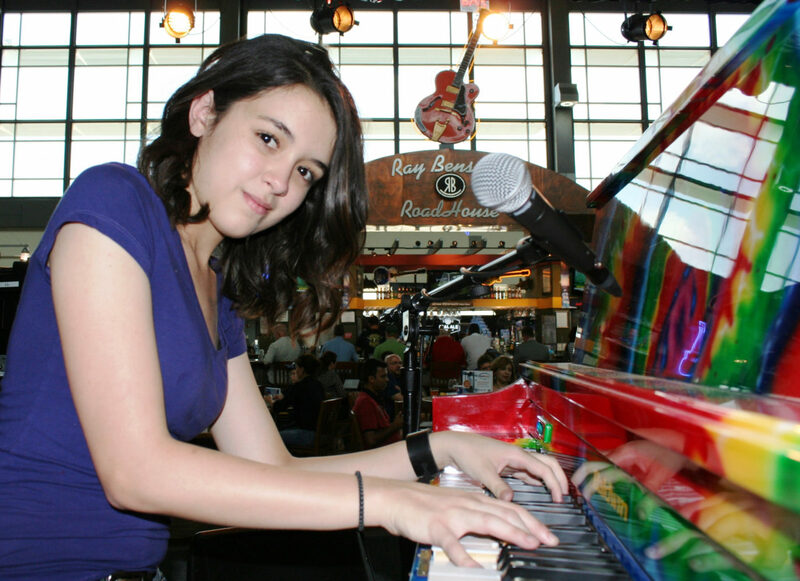 Like the city, Austin-Bergstrom International Airport(AUS) is filled with music: the Music in the Air program presents 23 live performances each week. Once each year the airport hosts Kid Band Week, with bands made up of performers ranging in age from 12 to 16 and playing music ranging from blues and pop to classic tunes. All performances are located past the security checkpoints and are available to ticketed passengers only. So if you’re heading that way, be sure to check out the shows. Monday, July 22 – 3:30 to 5:30 p.m.
Tuesday, July 23 – 3:30 to 5:30 p.m.
Wednesday, July 24 – 3:30 to 5:30 p.m.
Thursday, July 25 – 3:30 to 5:30 p.m.
Friday, July 26 – 3:30 to 5:30 p.m.
Each week, travelers passing through Austin-Bergstrom International Airport have 15 chances to enjoy live music..
From Monday, July 16 to Friday, July 20, 2012, young bands will play on the Asleep at the Wheel stage at Ray Benson’s Roadhouse (post-security) near Gate 10. There will be five performances, one each day, from 3:30 to 5:30 p.m.